Cape Aghulas where the Two Oceans meet!!! This is a full day Two Oceans meeting point trip. We follow the N2 over Sir Lowrey Pass to Caledon. Then we head South towards Bredarsdorp. Optional stop at the the Ship Wreck Museum. 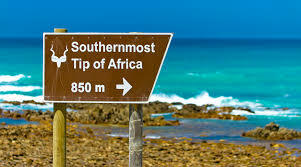 Then it is on the Cape Aghulas where the Two Oceans (Atlantic and Indian Oceans) meet. We then visit the Light House and you can have time to walk up tothe top of the lighthouse. 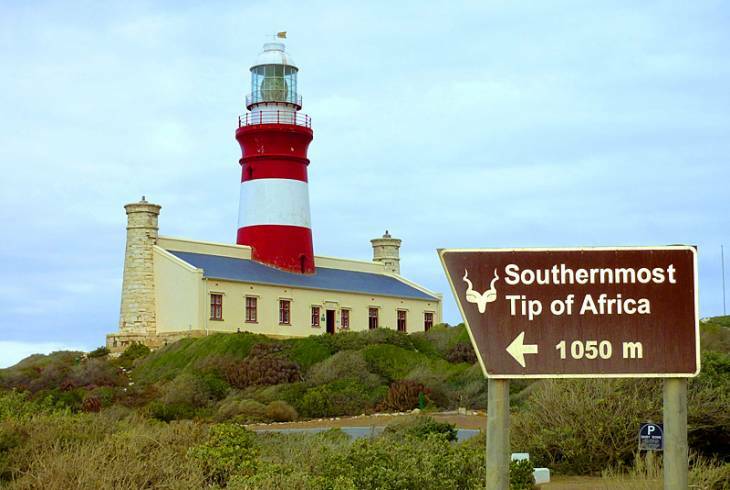 Lunch opportunity is in Struis Baai where it is possible to see the mantaray. We then proceed west towards Elim and Gansbaai, passing through Stanford and Hermanus. We then proceed via Clarens Drive back to Cape Town. 3 persons is R4000 Total excluding entrtance and or tasting fees, lunches etc. for a 9-5 day etc.